Dr. Sedgwick (Washington State ’57), 86, a pioneer of zoological medicine, died May 26, 2018, in Monterey, California. 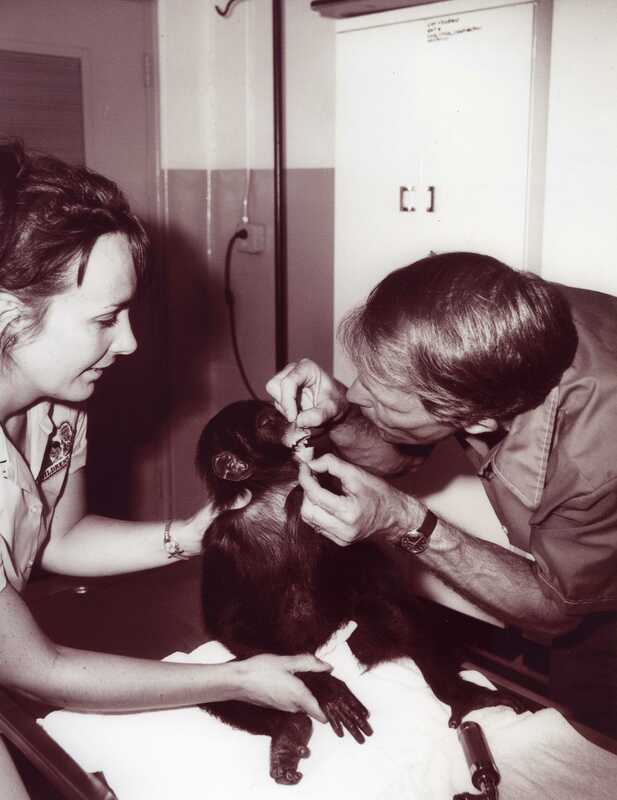 After several years in private practice, he became Charter Zoo Veterinarian for the new Greater Los Angeles Zoo in 1964, at a time when there were fewer than 10 zoo veterinarians in the US. Using two experimental drugs and older techniques he moved all animals from the old Los Angeles Zoo to the new facility. In the process, anesthesiology became his main interest. In 1969, he became Research Veterinarian for the UCLA/NASA Biosatellite II program (monkeys in space). His long career included being the Director of Veterinary Services at the San Diego Zoo, and faculty posts at UC Davis –zoological and lab animal medicine, and clinician at the Sacramento Zoo. Then at Tufts University he was Professor of comparative medicine, zoological medicine, environmental studies, and the first Director of the Tufts Wildlife Center. His last major position was a return to the Los Angeles Zoo as Chief Zoological Veterinarian. He was instrumental in designing and building new animal hospitals at both the San Diego and Los Angeles zoos. In retirement he concentrated on fine-tuning allometric scaling for use in calculating drug dosages for various species. Charles (Chuck) Sedgwick was friend and mentor to many people who have studied zoo animal, lab animal or wildlife medicine. He was exceptional in his ability to relate to students, on the job and in the classroom. His respect for students as individuals, his warmth, and good humor set him apart from many busy professionals. Dr. Sedgwick was a Diplomate of the American College of Zoological Medicine and the American College of Laboratory Animal Medicine. His honors include the Lifetime Achievement Award from the American Association of Zoo Veterinarians, Excellence in Teaching and Research from WSU (2010), and Lifetime Achievement Award from the National Wildlife Rehabilitators Association.